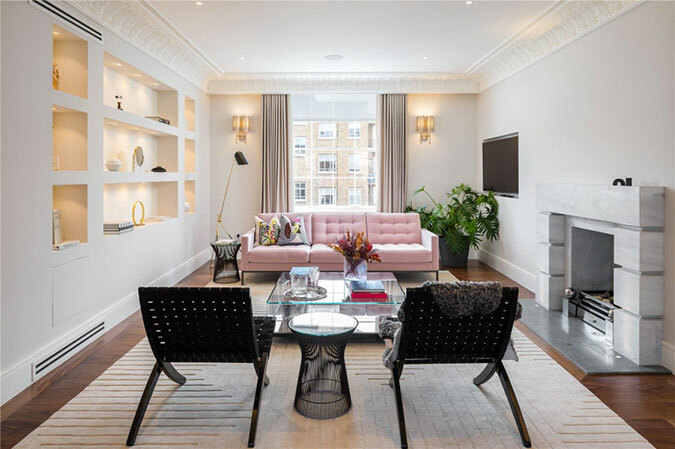 In the heart of London’s affluent Belgravia district stands a newly renovated three-bedroom apartment that encompasses the third and fourth floors of a Grade II-listed freehold building. “Each of the three flats was redone very recently,” Mr. Russell said. “Structurally, it’s basically a new build, but they quite cleverly took moldings from some of the ornate cornice work from the first floor and put them into the top floor to give it the same sense of historic grandeur.